I had the good fortune to re-visit Kluane Wilderness Lodge on Wellesley lake during the third week of June 2010. Wellesley is located approx. 200 miles NW of the city of Whitehorse. 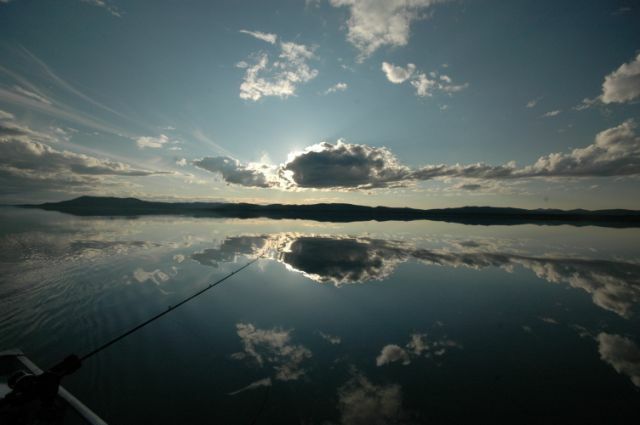 Access to the lodge is via a 90 minute float plane trip that passes a lot of beautiful Yukon wilderness. 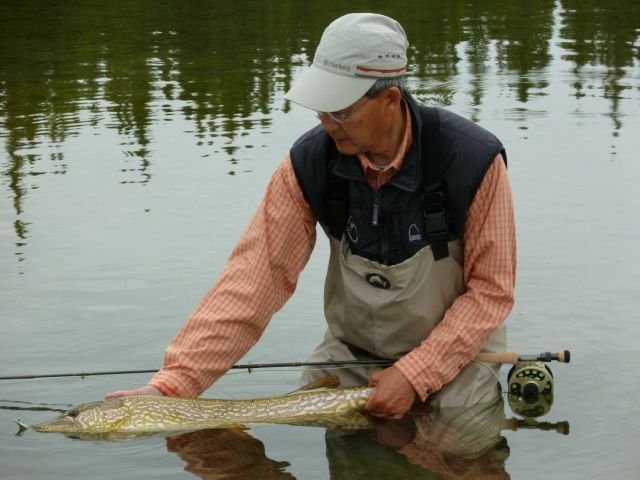 This was my 3rd trip to this wonderful fishery that features superb fly fishing for lake trout, pike and lake whitefish. What keeps me going back is the clear, nutrient rich water that supports heavy emergences of chironomids, mayflies, caddisflies and other invertbrates. Lake trout to 10 pounds and lake whitefish to 7 pounds can be readily taken on chironomid pupa, mayfly nymphs and adults and caddis pupa and adults. Much of the fishing for the smaller lake trout and whitefish can be done with floating lines and strike indicators, something I love to do!! The really big lakers are fish eaters, feeding on the abundant population of Cisco and smaller lake whitefish. 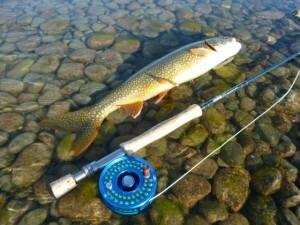 These rich food sources allow the lake trout to attain weights in excess of 45 pounds. Fast sinking and shooting head lines in the 350 to 600 grain weight range with baitfish patterns will attract the attention of some really big fish. 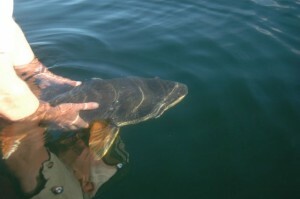 Surface poppers and baitfish patterns fished on floating and sinktip lines in shallow water are aggressively attacked by pike to 45 inches in length. 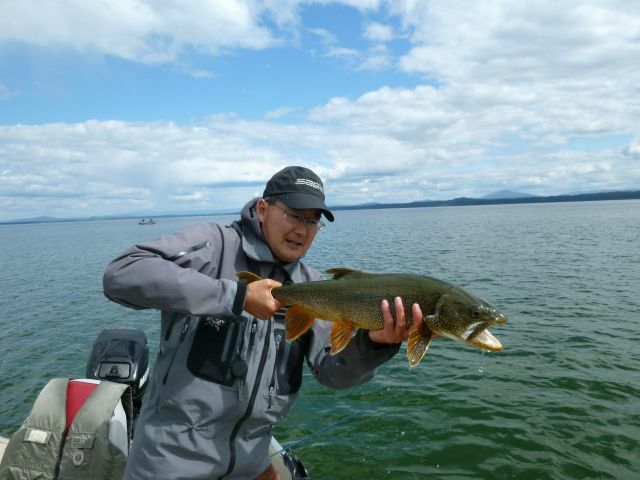 Lake whitefish are an amazing gamefish for the fly angler. These fish really pull and love to eat flies under indicators. Wellesley lake is not huge by northern latitude lake standards. It is about 10 miles long by 4 miles wide and it features crystal clear water whose shallow water shoals are covered with large expanses of marl and chara. The shallow edges of the lake are filled with dense stands of pondweed and longstem bulrush. 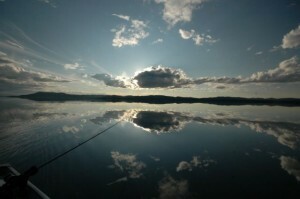 I’ve attached some images of the trip and welcome any questions you may have about this fishery. I’ll be hosting another trip to this remote fly in lodge next June 9-17. Check out Kluane’s website at www.kluanelodge.com. 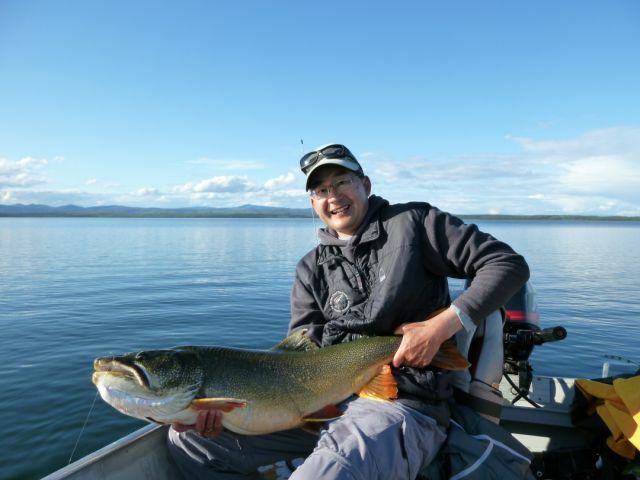 3 Responses to "Trip Report – Wellesley Lake, Yukon Territory"